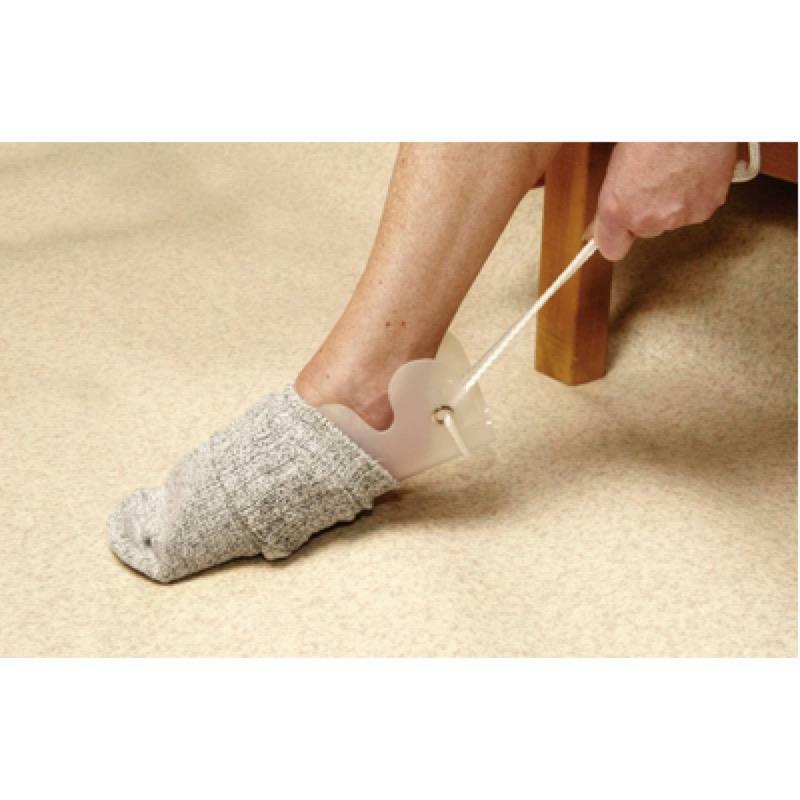 The Sock/Stocking Aid has a unique shape that keeps socks on the aid until it has been pulled all the way onto the foot. The Sock/Stocking Aid has a unique shape that keeps socks on the aid until it has been pulled all the way onto the foot. The soft plastic aid simply rolls into the sock and creates an opening for the foot. It features a loop handle that requires the use of both hands and a flexible, pliable trough which is easy to bend.